Lou Ann Walker is a writer, editor and professor. Her book, A Loss for Words, is a memoir about growing up with deaf parents, won a Christopher Award. Walker has written for The New York Times, The New York Times Magazine, O, The Oprah Magazine, Allure, Esquire, The Chicago Sun-Times, Parade, as well as for many other magazines and newspapers. 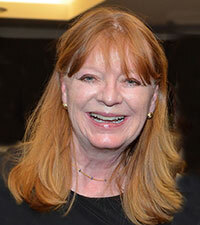 She has served on advisory boards at the Theatre Development Fund and the Museum of Modern Art. Formerly an editor at Esquire and New York, she is Director of the MFA Program in Creative Writing & Literature at Stony Brook Southampton + Manhattan. Walker is founding Editor-in-Chief of TSR: The Southampton Review, a literary and arts journal.